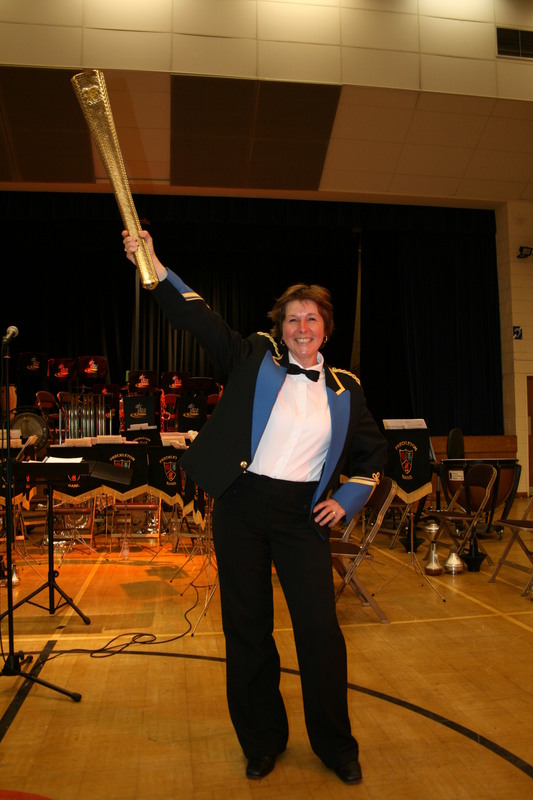 There was a special surprise guest at the Grand Charity Concert at Kirkham Grammar School last Sunday night. Entering the hall to the rousing strains of John Williams’ Olympic Fanfare and Theme, and rapturous applause, was local Olympic torch-bearer, Brian Potter. It was the start of a great evening of varied music from the band and special guests ATS Jazz with their conductor Cate Gardner. ATS Jazz are a big-band made-up of a very talented bunch of pupils from Archbishop Temple School including Freckleton’s very own Robert Richardson on trumpet. Freckleton’s contribution included two terrific solo performances from Matt Balson on soprano cornet playing the classic Silver Threads among the Gold, and Patrick Howard playing Peter Graham’s virtuosic Bravura. 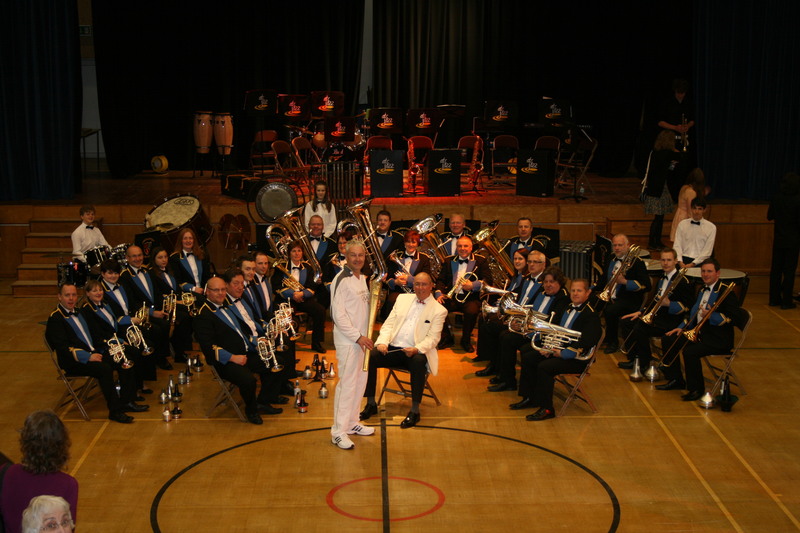 The band brought the evening to a close with the Quick March – Jubilee by Paul Drury to celebrate the Queen’s Diamond Jubilee. 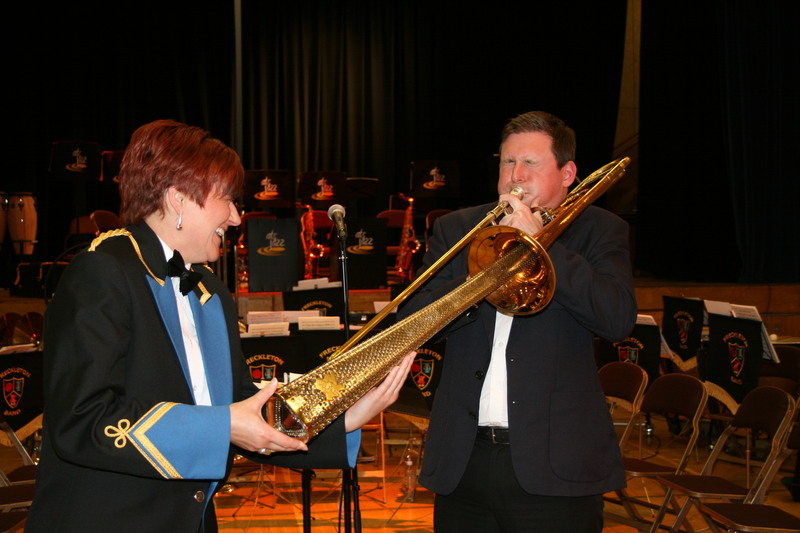 The Olympic Torch Trombone Mute! This entry was posted in Concerts by grumbal. Bookmark the permalink.